There is nothing better than spending a beautiful Saturday at Crystal Lake boating, swimming, and enjoying some quality family time. It was a perfect day, that is, until you got home and saw more mouse droppings. And when you checked the trap, the cheese was gone, the trap was sprung, but there was no mouse to be seen. Don’t get frustrated; call us we are happy to help. Because of our experience here at Rove Pest Control we will be sure to take care of your pest problems. Our work is guaranteed. The services we provide have been hand-picked. They are sure to eliminate the things in your life that bug you. Well the pests anyway. We offer free consultations. That way we can assess the problem and make sure that it is taken care of once and for all. We take pride in our work by providing our customers with the best possible service. Our interior precision treatment ensures that your home stays pest free. We want to give you the peace of mind that you deserve. No more walking into a room and being frozen in fear because of the huge spider on the wall staring down at you. We also perform a number of outdoor treatments. They range from eave and soffit treatments to yard, flowerbed, and shrub care. We also trap and remove nests. You name it, we can treat it. Our products are EPA approved so you can feel confident with them being used at your home. We will get rid of the creepy crawlers, the rodents, the dive-bombers, and all the other pests that are not welcome. We have experience with a variety of pests. Some of which include; bed bugs, spiders, cockroaches, and many more. Therefore, we are able to eliminate them for you. And we promise to keep them away. Because we care about our customers and saving you money we will even offer 50% off of your first treatment. Give us a call! 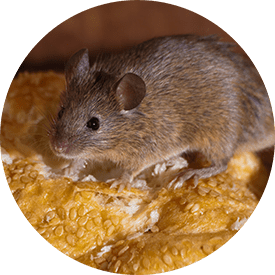 Check out our Apple Valley pest control services or our bug control services in Minneapolis.